If there is one thing Rangers have missed in recent years, it has been the modern position of ‘box to box’ midfielder. That is, a midfielder who can cover the grass from both boxes as effectively as each other, fulfilling attacking and defensive duties especially well, and particularly being able to nab a decent handful of goals or more from midfield. Some had hoped Jason Holt might be able fill that role, but the truth is he simply is not that kind of midfielder, nor, in truth, is he good enough. 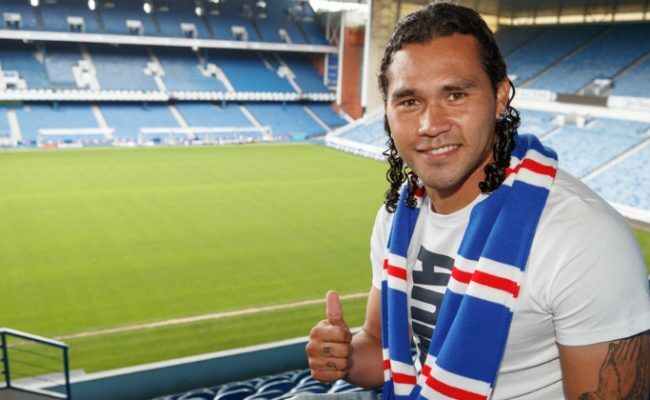 But manager Pedro Caixinha believes the problem is solved now with the signature of Carlos Pena, a player the manager confirms he has followed since 2012 and who he thinks can get goals from deep and help out in midfield in a way no other Ranger has really been able to effectively for a long time. It must be said this overview is a very positive addition to the squad, the type of player Rangers have rarely really had in recent years, and to compound it, the lad is an international for a very strong Mexico side. If Rangers’ midfield has lacked anything, beyond the obvious Barry Ferguson dictator type, it is the dynamism of a box to box player who can support attack and defence while scoring goals into the bargain. If Pedro has this one right, and he knows the player far better than you and I, it could be a brilliantly astute signing and well worth the reputed £2.2M Rangers shelled out for his services. Isn't it great to not be signing 4th or 5th rate players from English lower leagues? I have been one of Kings most persistent critics. I happily admit that he has made people like myself look silly. I have a humble pie baking in oven as you read this. Easily best week for the club in years. My theory is that King made it clear that he wasn't going to back down from litigation and that unless retail deal was scrapped then a further administration was inevitable. Ashley may be petty but thought of losing his cash completely is less appealing than selling up, taking some retail money and disappearing. Ashley also likes to make money, the rangers deal wasn't making him anything and prob losing him money having stock they couldn't t shift. But great to see he was sold his shares to fans, which is great for the club too.